Home Slots Octopays – New Slot for November! Octopays – New Slot for November! 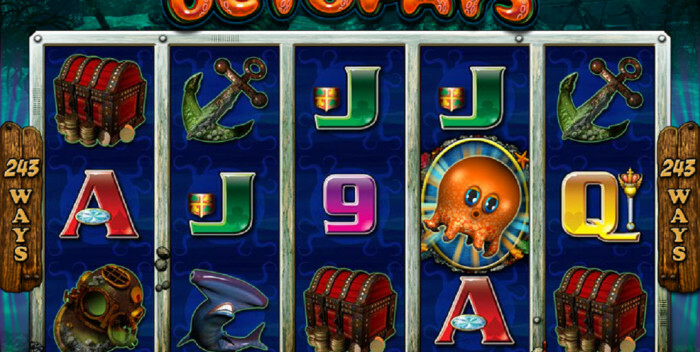 If you’re looking to go on an underwater adventure filled with creatures of the sea then the new Octopays video slot is probably the game for you! Don’t be frightened when the underwater Kraken appears, it is there to take you to the bonus round! The Kraken is triggered when two baby octopus are on reels 2 and 4 and will lead you through a bonus round of 12 free spins. If the Kraken didn’t grab your attention, the bonus round free spins certainly will, because of the many innovative concepts that it includes. The Kraken guides you through the spins and randomly places baby octopuses on every reel except reel #3. These baby octopuses take the place of the symbol to give you bigger pay outs. The octopus can replace any symbol except the Moray Eel; once again the eel should not be feared because it is there to provide you with greater payouts! The Moray eel has two unique features. If it lands on a baby octopus that is part of a winning combination it becomes a x2 multiplier by using its powerful ink defenses. If it should land on reel 3 it becomes a wild substitute for all symbols and pays x2 the amount wagered. If it seems like there is a lot going on during the bonus round there is, and that’s what makes this game so enjoyable. It’s not your typical free spin feature; it incorporates several exciting features to keep the adrenaline pumping. This five reel 243 ways to win video slot can be played with a wager of .01 to .50 per line up to a maximum of 300 coins bet. With a maximum wager the top pay in the base game is 7,400 and an amazing 290,000 in the bonus round. As you can see this game is all about the bonus round of 12 free spins. Octopays is one of three new games to be released this November. The other two are Break Away and Western Frontier. Everybody is also anticipating the release of Battlestar Galactica in December which is sure to be a huge hit. 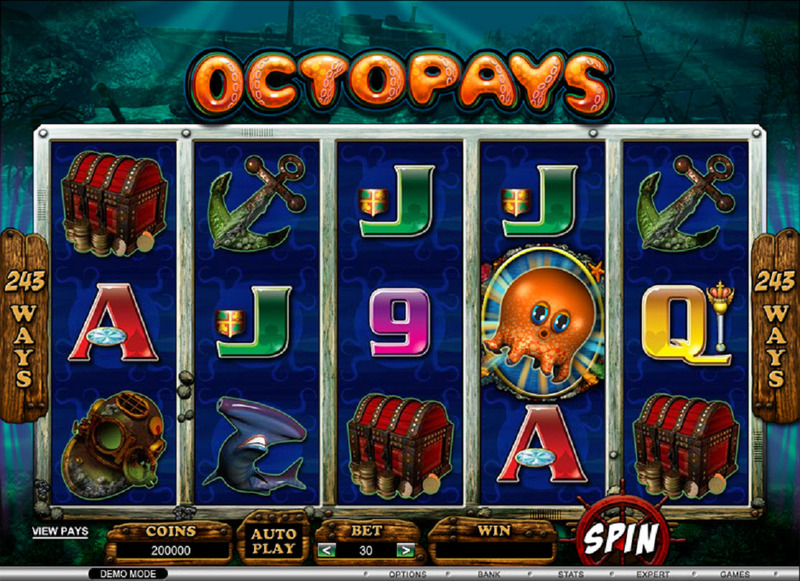 Play the Octopays Slot now for FREE!